Stay for FREE on Sunday nights..when you spend over £175 per couple on food and drink! From £175 per couple in a Junior Suite or upgrade for £25. Includes Bed and Breakfast and an allowance of £175 to spend on food and drink during your stay. From the moment you arrive enjoy drinks from the bar; then choose from the A La Carte Menu or the Blackboard Specials for your evening meal and treat yourself to something special from the wine list or bar. You have an allowance of £175 for the two of you to spend as you wish on food and drink and so your room and breakfast are essentially ‘free’, so after a good night’s sleep enjoy our full A La Carte Breakfast menu with Bloody Marys and Bucks Fizz before you head home. Upgrade to the Studio Suite or Rose Cottage for £25 per night per couple. 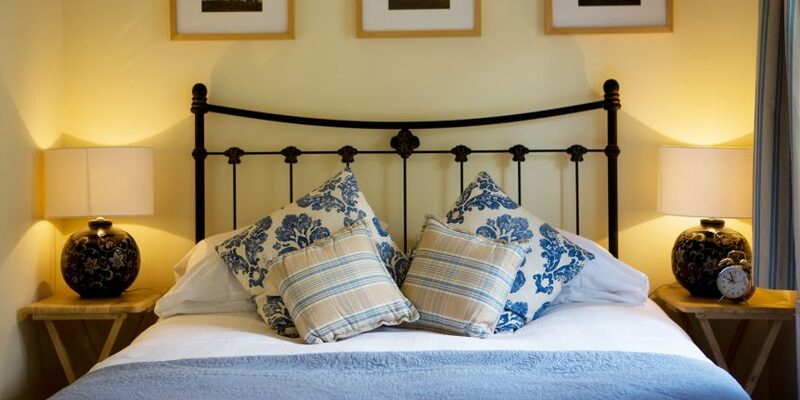 Or book Rose Cottage for 3 or 4 guests and pay £300.00 total for the 3/4 of you. Based on 2 people sharing (except Rose Cottage for 3 or 4 people for £300.00). Subject to availability, not in conjunction with any other offers. Sunday nights only excluding Easter, Christmas and Bank Holiday Weekends. You have an allowance of £175 for the two of you to spend as you wish, you just pay anything over and above the £175.00. For room upgrades to the Studio and Rose Cottage, please note the additional £25 is not added to your £175 food and drink allowance.